Clear Gift Box. 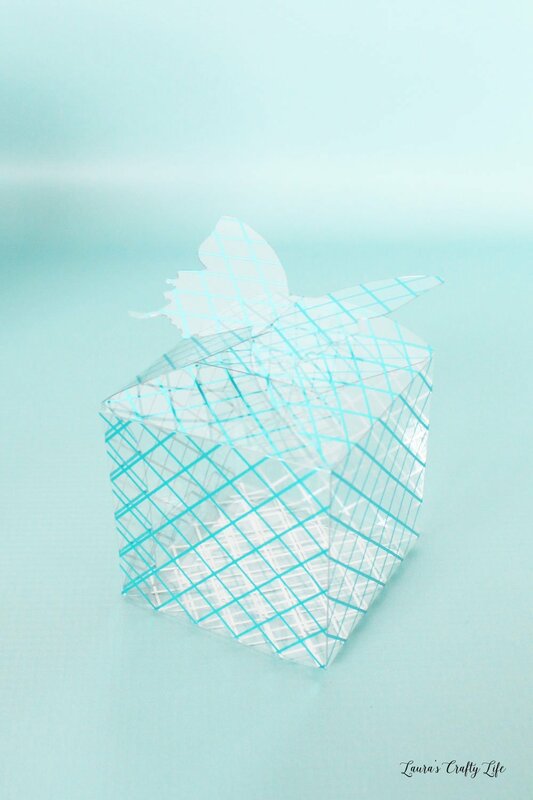 Easily create a pretty butterfly clear foil acetate gift box using the Cricut Maker and Cricut Scoring Wheel. I love when I can make a gift even more special by creating unique and beautiful gift wrap. 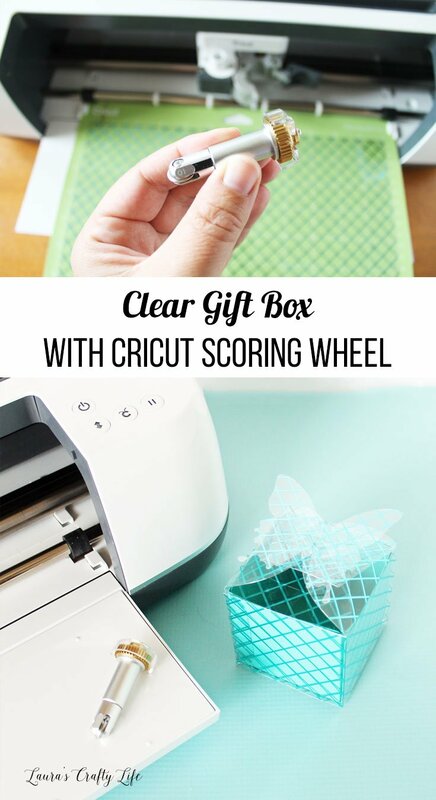 Today, I am going to show you how easy it is to create clear gift boxes using the Cricut Maker and Cricut Single Scoring Wheel. These would work well as favor boxes for parties and weddings as well. This post contains affiliate links. If you purchase something through the link, I may receive a small commission at no extra charge to you. Please read my full disclosure policy here. 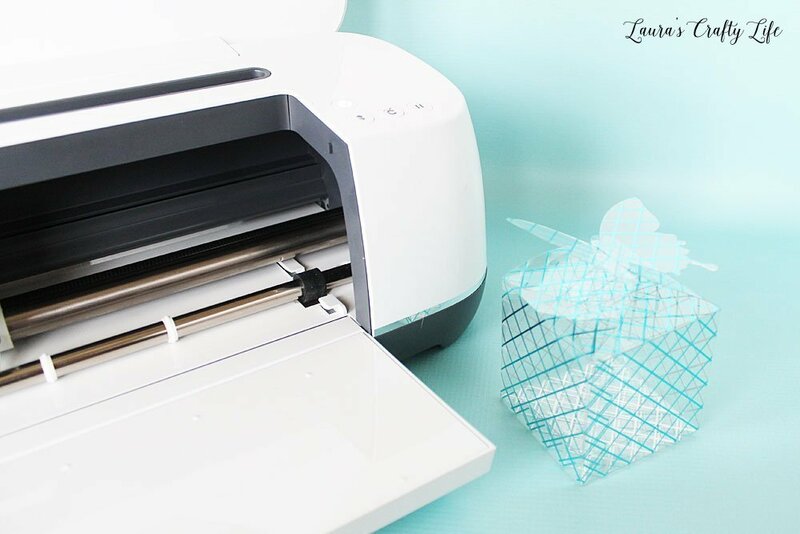 Thank you to Cricut for sponsoring this post, providing me with a machine, and some of the products in this post. I love the foil acetate sheets. They have lots of fun patterns and colors available to choose from. 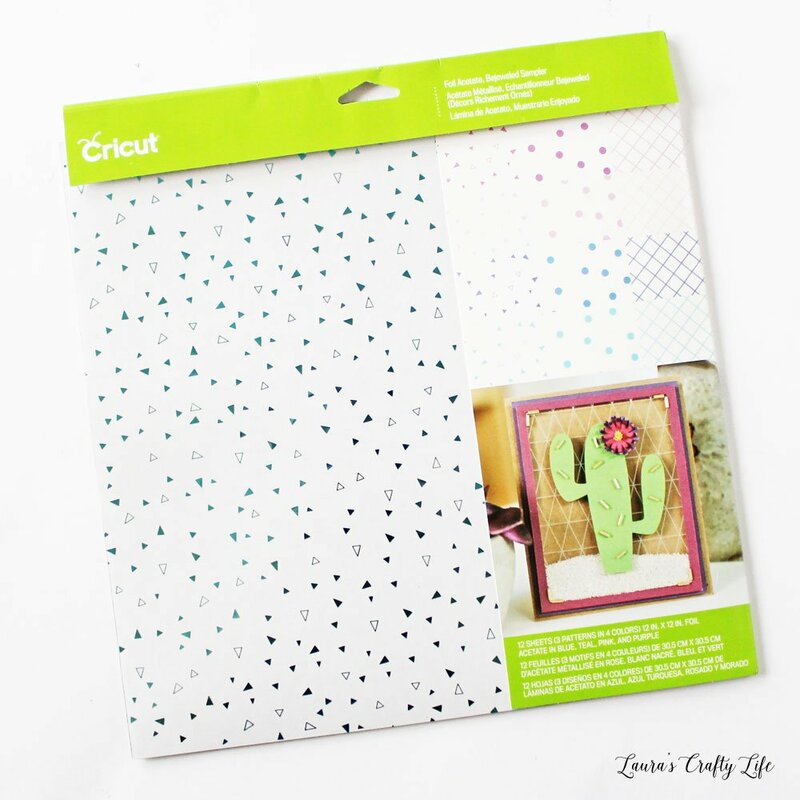 Start by finding a box design in Cricut Design Space. Click Images in the Design Panel. I chose the butterfly box, but there are a lot of other really cute boxes available. Use the filter to sort images by 3D objects or simply type in the word box to find other options. Resize the box so the largest dimension is 11.5″. Click the green Make It button. Make sure the mat looks okay, and then click Continue. Choose foil acetate from the drop-down menu. 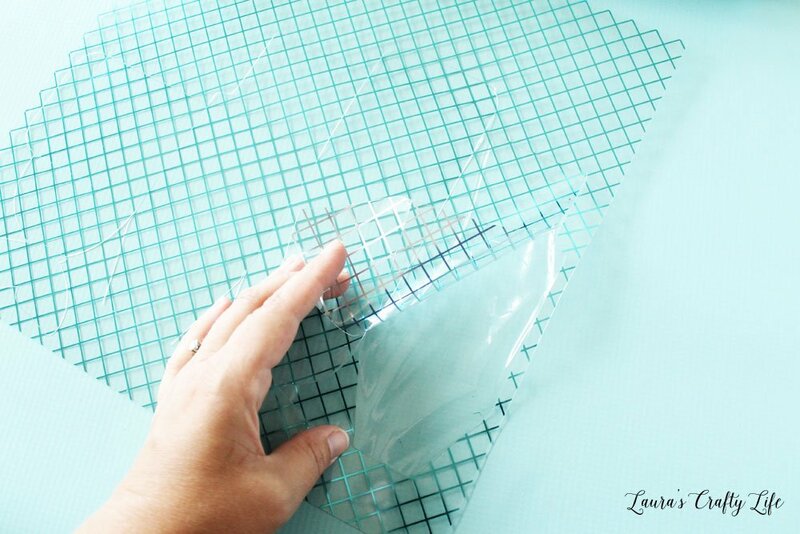 Place your acetate with the right side up so it doesn’t get damaged on the mat. You will see the Maker will prompt you to install the single scoring wheel by the little 01 on the screen. Make sure your scoring wheel also has the 01 on it. If you have been using the double scoring wheel it will have a 02 on it. Click the flashing Go on the Maker. After the acetate has been scored you will be prompted to change to the fine tip blade. There is a thin clear plastic liner on the backside of the foil acetate. Peel this from your gift box. Fold the box on all the scoring lines and assemble the box. I found it helpful to apply a little adhesive to the bottom and side tabs to keep the box together. The box looks beautiful as is, but if you want your contents to not be so visible you can add a cardstock liner to the box. I found a box with a lid in Design Space and sized the box to be a little smaller than the original butterfly box. 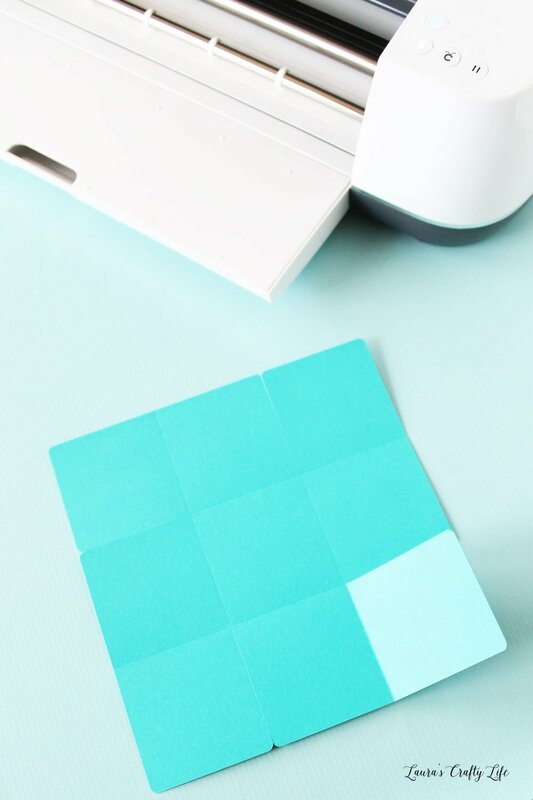 Follow the same steps above to score and cut the cardstock. I have included both boxes on the Design Space file. Helpful tip: Both acetate and cardstock use the single scoring wheel. 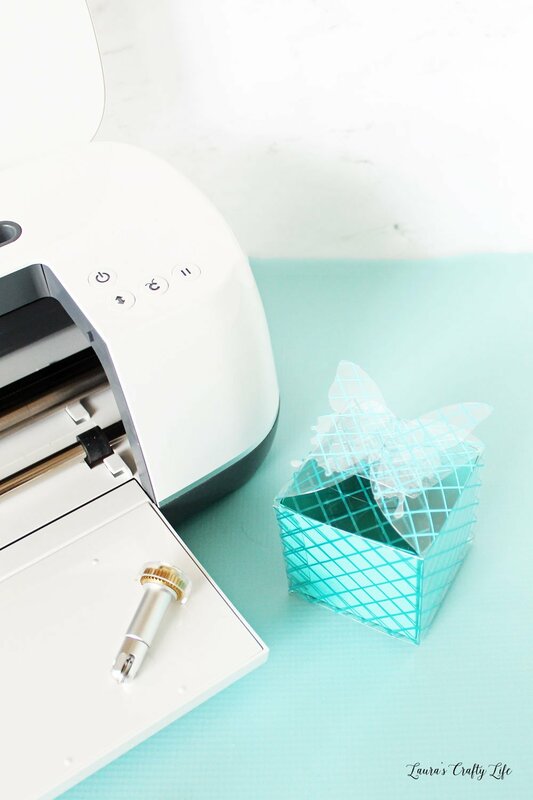 You can see all the materials you can score with your Cricut Maker scoring wheels on this Recommended Materials list. 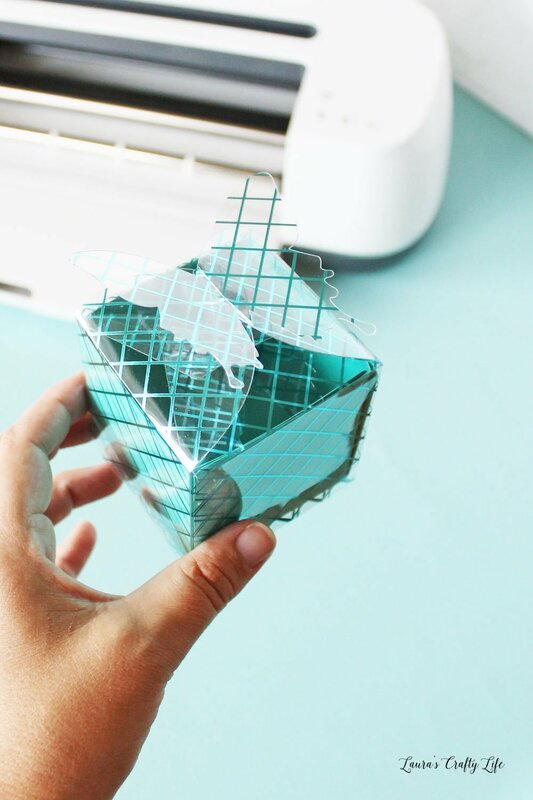 Fold the cardstock on the lines and assemble the box using adhesive. 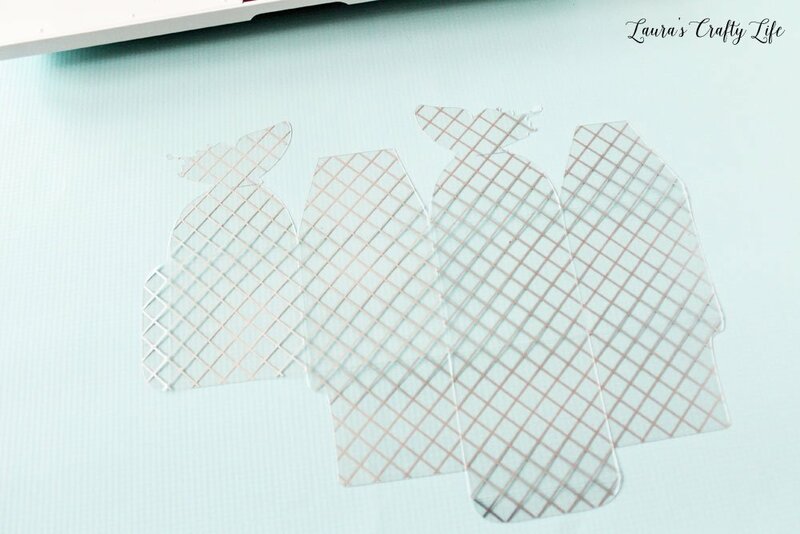 Slip the cardstock box inside the clear acetate box. I love how the foil stands out even more with the cardstock liner inside. I think these little gift boxes would be perfect to gift earrings, candy, or any other small trinkets. They would also be perfect for a party or wedding favor. They come together so quickly and easily using the scoring wheel. 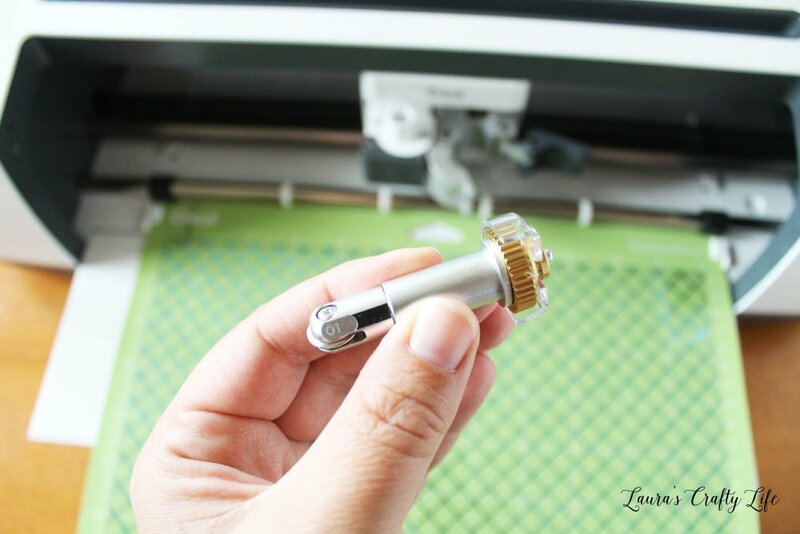 Cricut Scoring Wheels use the Cricut Maker’s Adaptive Tool System to create crisp creases in materials, using up to 10X the pressure of the scoring stylus so you can make perfect, effortless folds. 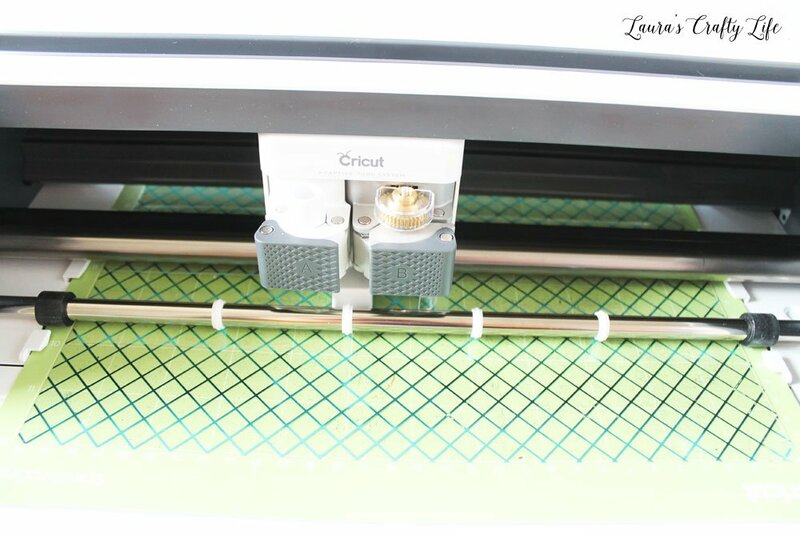 Use the Cricut Single Scoring wheel for thin materials like acetate and cardstock – see a full list of materials here. Easily identify the single scoring wheel by the 01 on the tip. Double check you have the correct tip on your scoring wheel before scoring. Great idea. I just need the scoring wheel. Hum, will a scoring pen work! The scoring wheel is only for the Cricut Maker. If you have one of the other machines, you would need to use the scoring stylus. I haven’t personally tried the scoring stylus with the foil acetate, but I would imagine it would work! Awesome gift box DIY project. Thanks for posting. Thanks so much! Have a wonderful week.